This Quarter Final was a match played at full tilt with the Kildare side coming out on top in a very well contested game. Portlaoise had beaten Newbridge twice in the Leinster League and so this was never going to be an easy game. A unique feature of this match was the fact that three Commane brothers lined out for Newbridge. Newbridge scored 2 converted tries and 2 penalties to Portlaoise’s 2 tries with one converted and 2 penalties. From the kick off it was obvious that Newbridge were going to spread all possession widely across the field as they faced the heavier Portlaoise pack. Portlaoise were endeavouring to keep every ball tight as they ran all possession through their back row. Newbridge were very alert to this ploy and their tackling proved superior. With a lot of Newbridge pressure outhalf Donal Cashman kicked a penalty on 24 minutes. Portlaoise had 2 players sin binned within a few minutes of each other but the Kildare side couldn’t add to their score. The half time score was 3 points to nil in favour of Newbridge. Portlaoise came more into the game as the heavy cross wind from the north made fielding difficult. However, it was the Newbridge No. 8 Mark Doyle who got over the line after a good series of Newbridge rucks. This score in the 46th minute which was converted by Cashman put Newbridge 10 points ahead. A penalty from Portlaoise outhalf Jack Redden from 40 metres in the 50th minute put them on the scoreboard. After the Newbridge drop off a penalty from Cashman from close in kept them at a 10-point differential. In the 57th minute Portlaoise pressure on the Newbridge line saw Armand Smith go over for a try which was converted by Redden. Redden added a penalty in the 61st minute from the half way line to leave the score tied at 13 points each. Portlaoise were now on top and despite another yellow card for them they added a try from Ross Cooper. At 13 points to 18 it looked as if the Portlaoise side were well in control. However, Newbridge never say die attitude saw replacement full back Fergal Doyle go over for a try in the 78th minute. It was converted from a very difficult angle by Cashman. Best for Newbridge were second row Oisin Howell and wing forward Brendan Tiernan while in the backs the tackling of Denis Clarke and the superb running of winger Robbie Browner was notable. Newbridge: Brendan Commane, Matt Duggan, Tomas Munita, Rory McCann, Oisin Howell, Mark Doyle, Brendan Tiernan, Billy Delaney, Donal Cashman, Kevin Commane, Denis Clarke, Graham Burns, Robbie Browner, Conor Dolan. Subs: Patrick Commane, Denis Murphy, Dan Hill, Paidi Davis, Fergal Doyle. 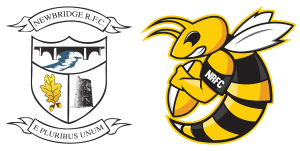 Newbridge are drawn against New Ross in the semi-final. Date and venue to be decided.